Even normal skin can be prone to skin problems, caused due to SKINSTRESS™. Factors such as a hectic lifestyle and external environmental factors like dirt, dust and pollution, can lead to SKINSTRESS™ that can appear in the form of pimple marks, dark spots and blemishes. 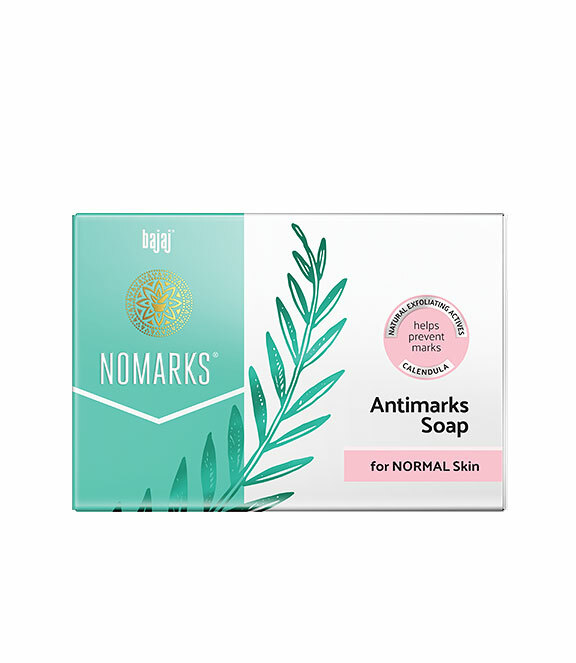 For that glowing, youthful look, use the Bajaj Nomarks Antimarks Soap for Normal skin once a day. Error: Error validating access token: Session has expired on Monday, 11-Mar-19 23:22:46 PDT. The current time is Saturday, 20-Apr-19 15:24:16 PDT.